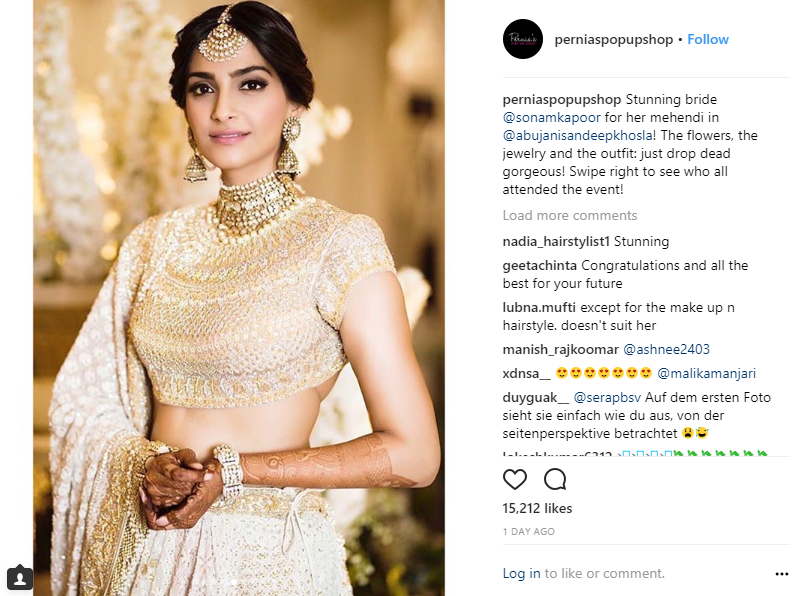 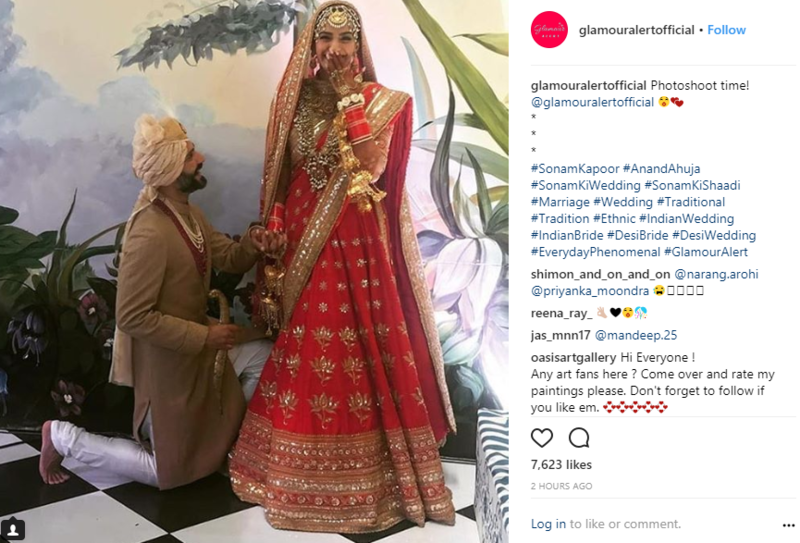 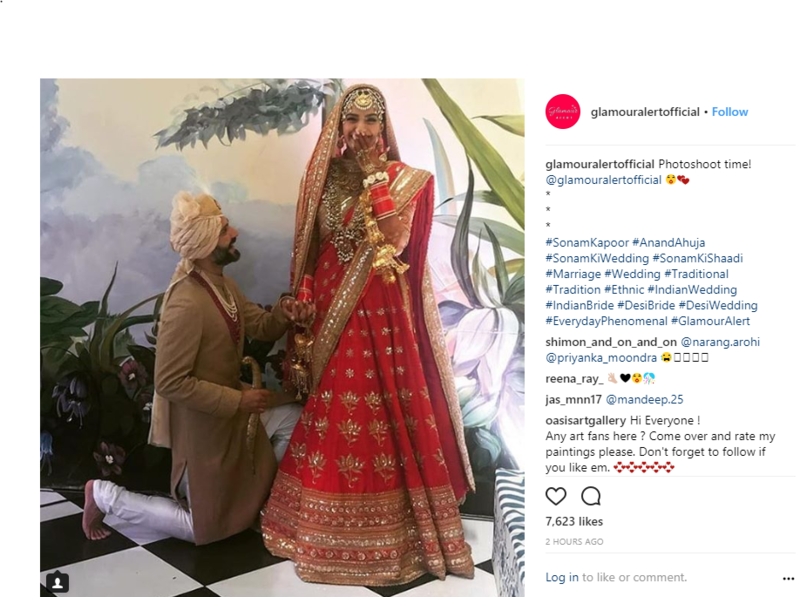 Home > Celebrity Styles > Can’t keep calm because it’s #SonamKiShaadi! 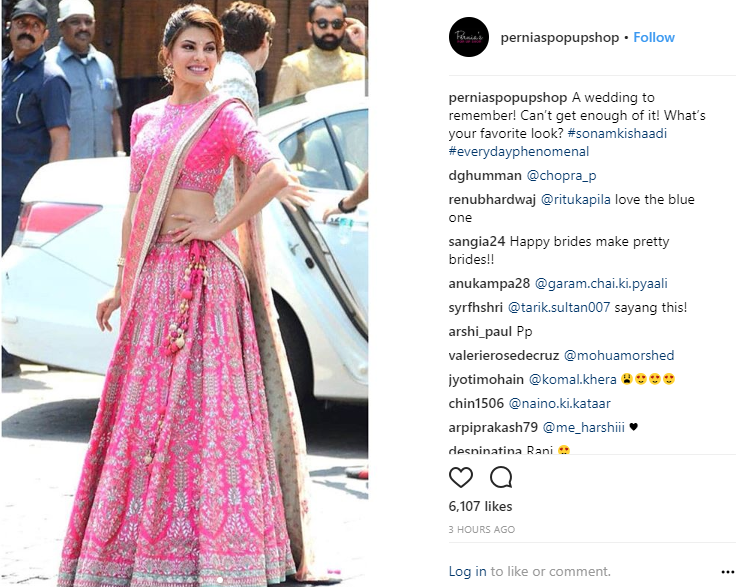 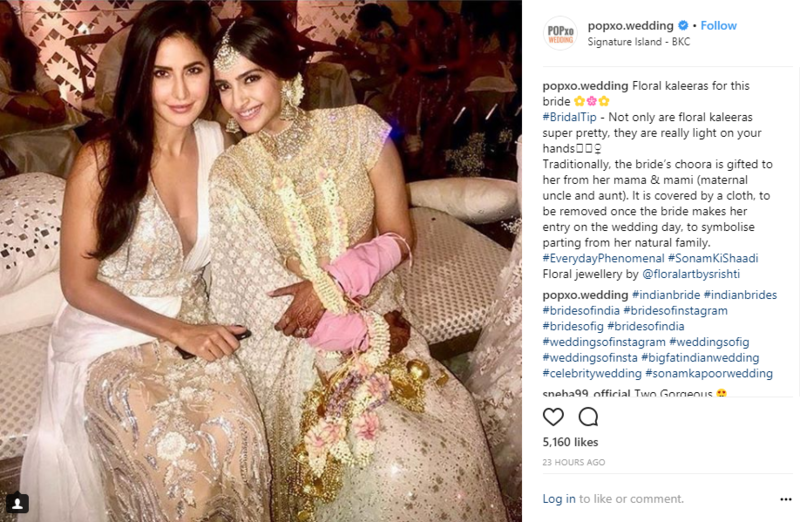 We can understand the excitement and the frenzy gripping you which is why we have compiled some of the best looks donned by celebs at the most awaited wedding of this year. 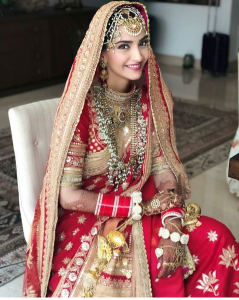 Sonam Kapoor tied the knot with her long time beau Anand Ahija today, in an Anand Karjat ceremony attended by the close friends of the couple in Mumbai and we are floored by her pure bridal beauty! 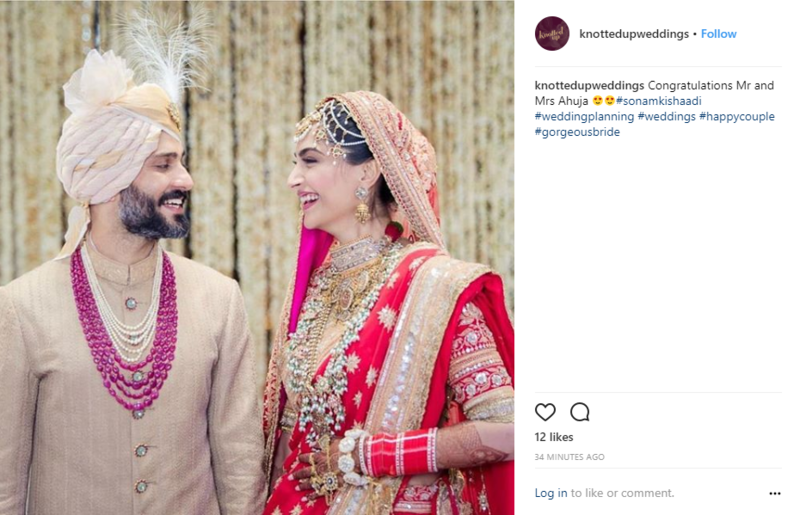 Congratulations to the newly married couple who look so happy together! 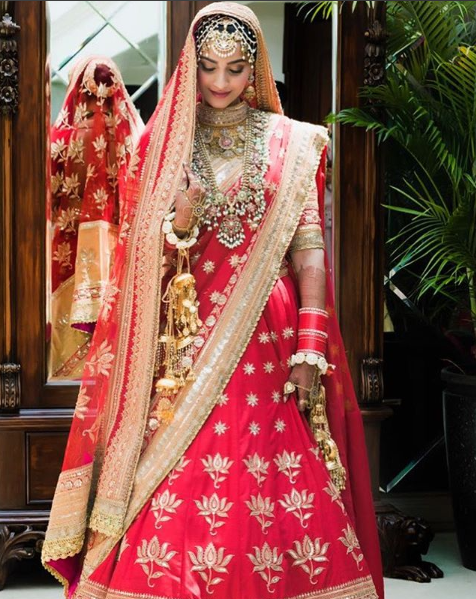 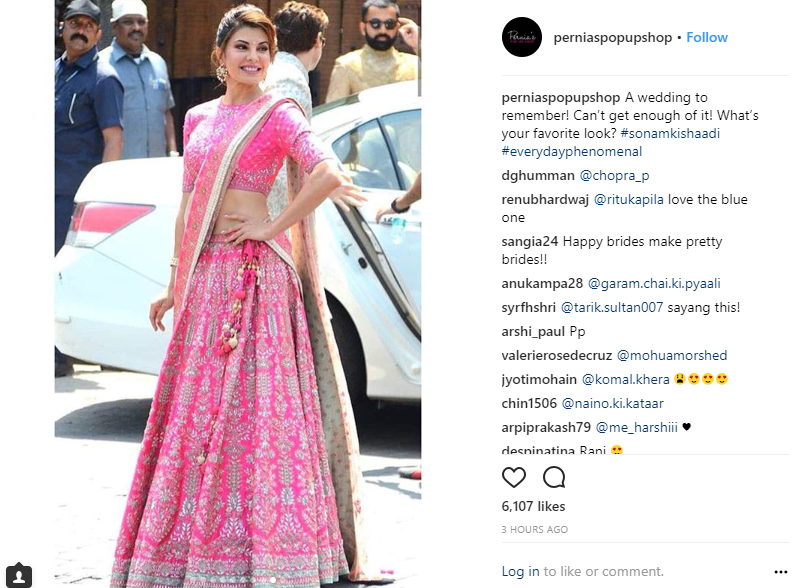 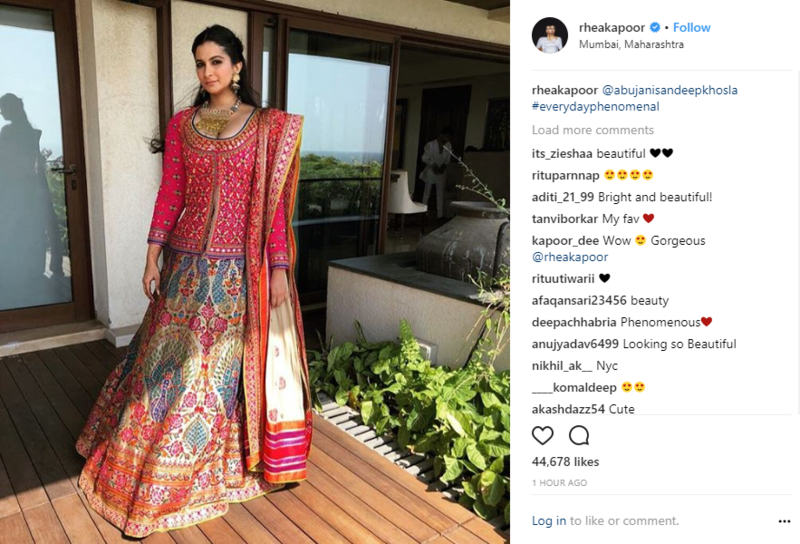 The actress opted for a stately bridal lehenga in red by Anuradha Vakil for her big day while sister Rhea donned a cheerful pink and multi-coloured ensemble by Abu Jani and Sandeep Khosla. 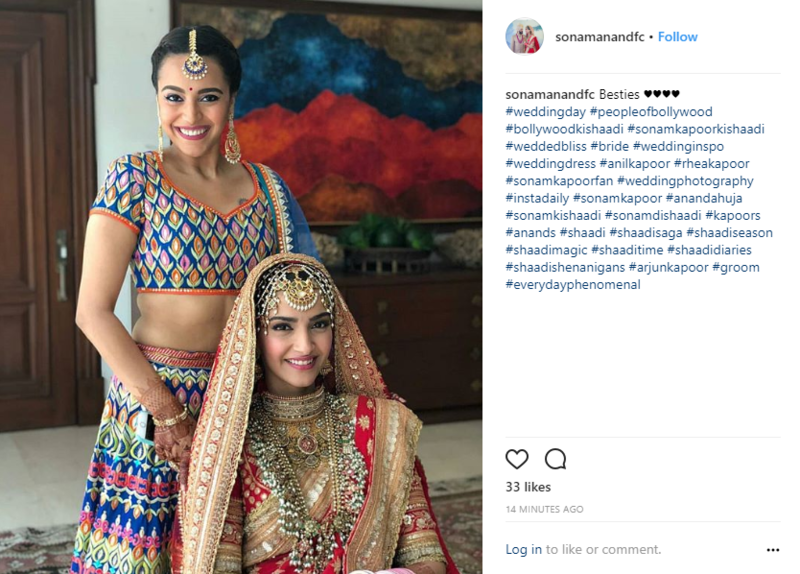 Close friend and co-star Swara Bhaskar was present at the traditional celebration. 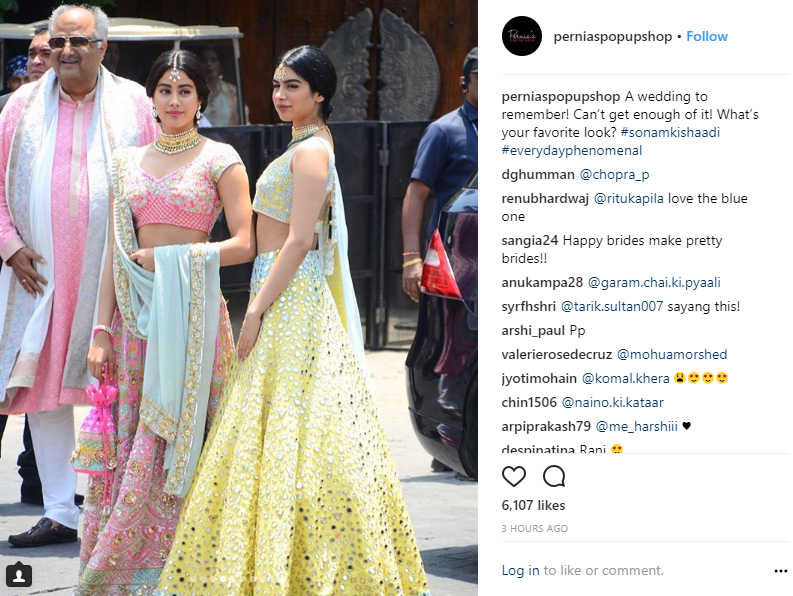 The wedding also saw cousins Jhanavi and Khushi step out with dad Boney Kapoor in colour coordinated pink, icy blue and pale yellow outfits. 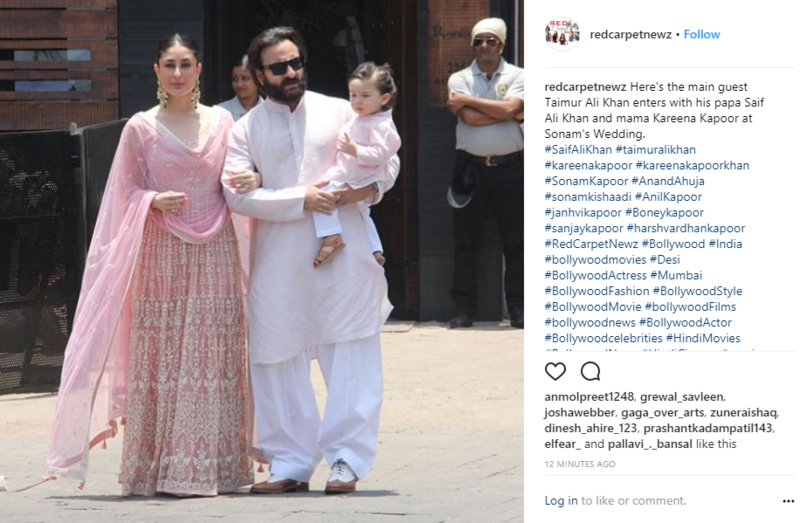 Co-star Kareena Kapoor Khan made an entrance with Taimur in dad Saif’s arms, looking pretty in a pale pink number with whitework detailing. 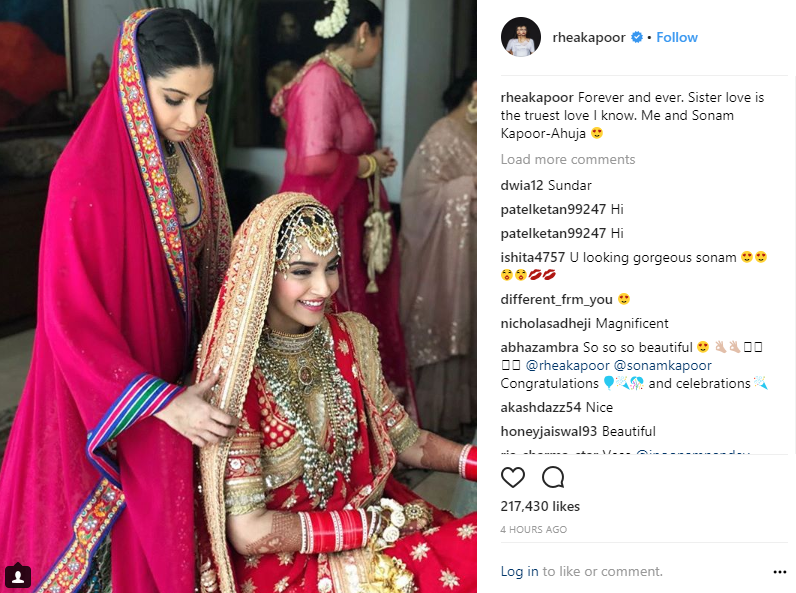 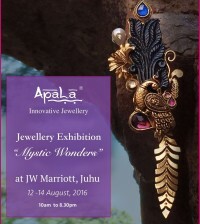 Cousin Jahnvi Kapoor is surely not the next Kapoor gal to be married as bits from the kalire didn’t fall on her. 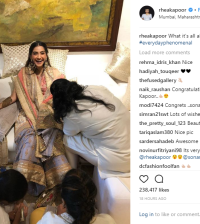 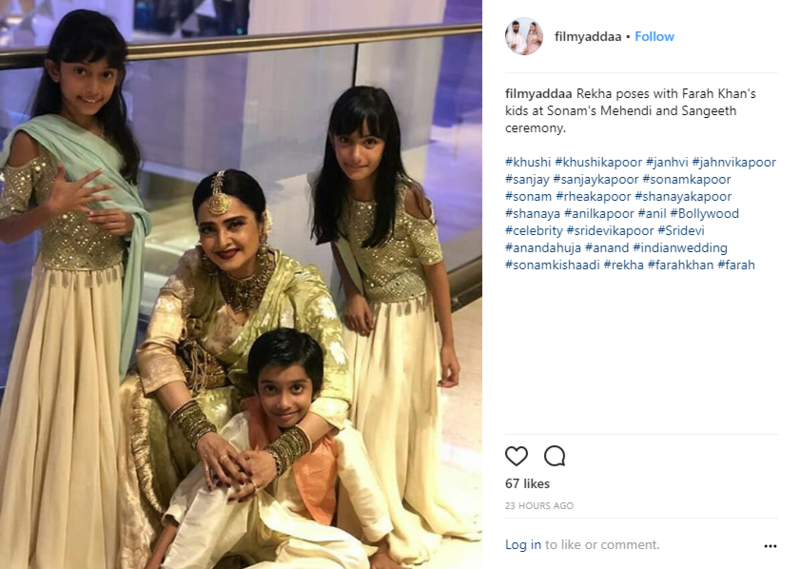 In a sweet gesture from the Kapoor and Ahuja family, Sonam’s brother, actor Harshvardhan Kapoor distributed sweets to media persons gathered outside the wedding venue. 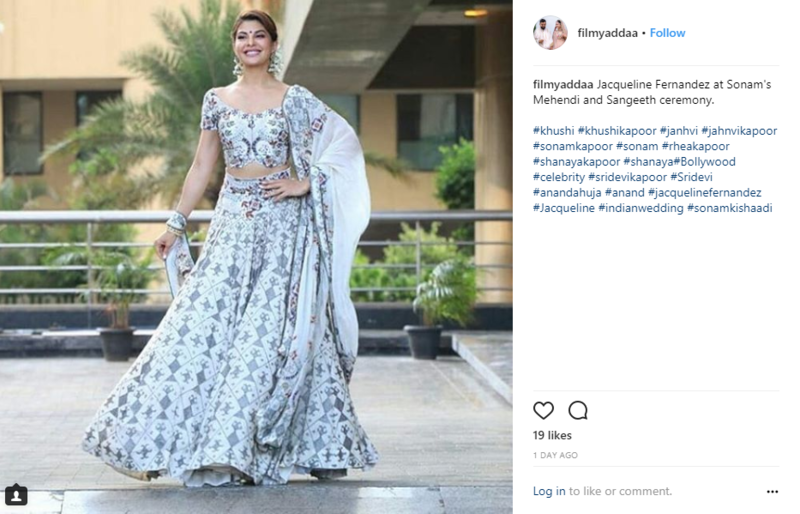 Earlier on, the bride to be had won our hearts in an off-white and muted gold ensemble by Abu Jani and Sandeep Khosla as she danced with Jacqueline Fernandez on chittiyan kalaiyan during her sangeet. 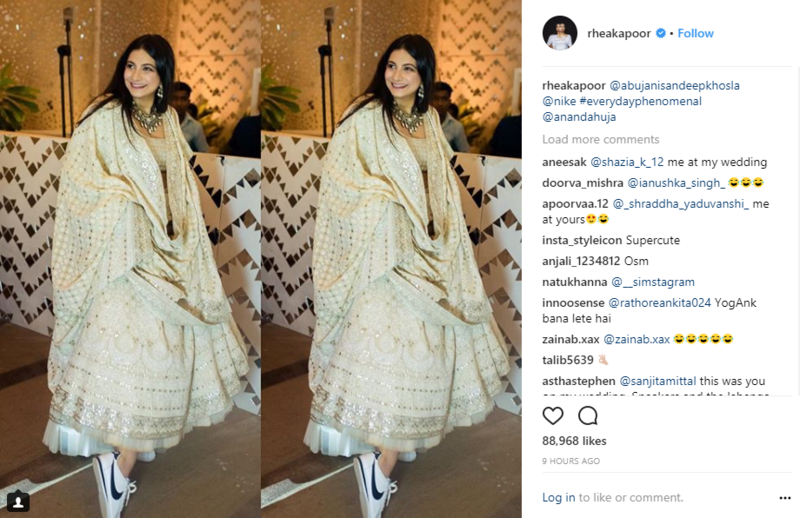 Sister Rhea could be seen rocking NIKE sneakers with her Abu Jani Sandeep Khosla ensemble. 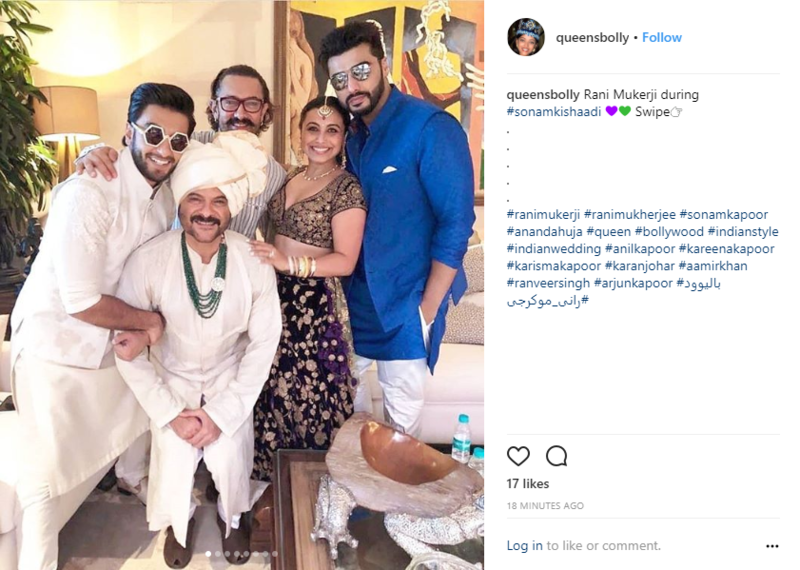 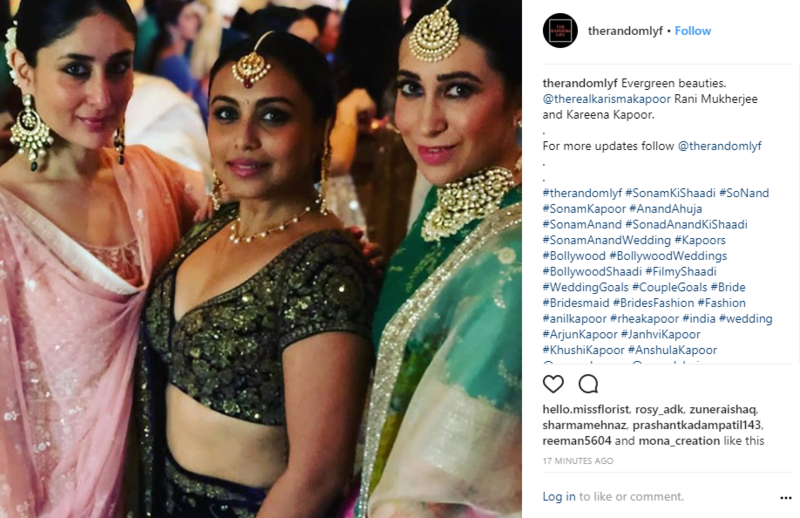 In images posted by those who attended the sangeet ceremony on Monday, we can see numerous Bollywood celebs make their attendance in shimmering white ensembles. 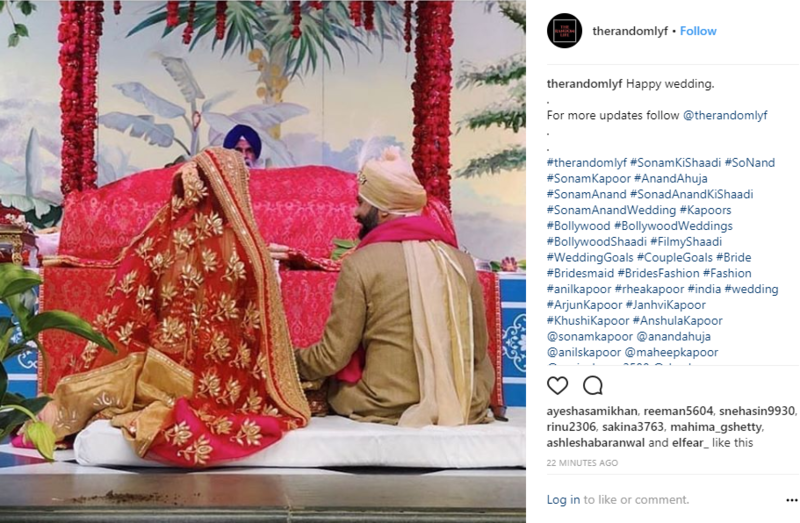 Here’s wishing the happy couple years of togetherness and love!